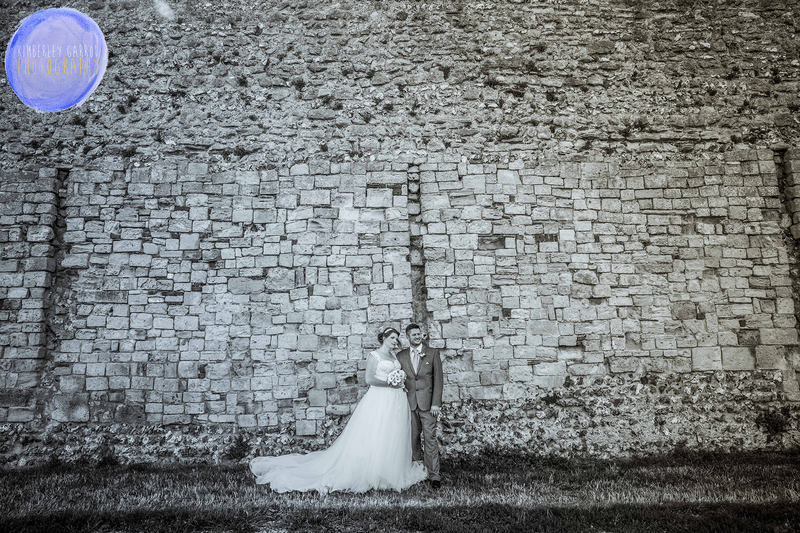 Portchester Castle Church Wedding Photographer Kimberley Garrod. Well what can I say about these two Kimberley and Jon what a fab couple and of course the bride has the best name ever. I meet these two at a family home for the first time I took round a selection of albums so they could see a selection of my work. Upon our meeting they booked me as their wedding photographer. After that meeting I did a pre-wedding shoot with them some months later and then three days before the wedding went to meet them both at the venue to talk though last details and bits before the big day. I really got to know these two and I feel this reflects in their wedding photographs. Not only was the weather unpredictable in the morning but it turned out to be a lovely sunny day which Kimberley was very happy about. Getting ready in the morning was great fun as they had a very close friend who was hair dresser who lived across the road she had a amazing studio which was in her garden which was like a little secret den. The couple got married at St Marys Church Porchester and then we did couple pictures around the grounds of Porchester Castle. After this they then went on to their reception which was a garden party style theme in a marquee which was set up so lovely and really allowed the couple to celebrate their wedding in style. I had such a lovely day and it ended with the step father grabbing the microphone off the singer and getting everyone to give me a big round of applause I think I blushed a little but the gesture was lovely. So nice to be appreciated for the hard work. I can not wait to print a wedding album for this couple.